Masslink Guest House is a Victorian house which offers comfortable Gatwick bed and breakfast/budget hotel to travellers passing through London Gatwick Airport. 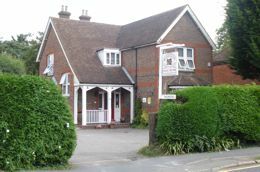 For Gatwick bed and breakfast, at budget hotel prices, Masslink Guest House is the place to stay. Light self-service breakfast can be added at £4.95. Review from Airbnb December 2017olite staff! Recommend ne! If you are travelling abroad and need accommodation then you may wish to consider our ski chalet in Chamonix or our luxury villa in the Algarve. Masslink Guest House is a member of the Gatwick Guest House Association.